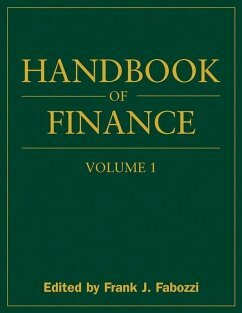 Volume I: Financial Markets and Instruments skillfullycovers the general characteristics of different asset classes,derivative instruments, the markets in which financial instrumentstrade, and the players in those markets. It also addresses the roleof financial markets in an economy, the structure and organizationof financial markets, the efficiency of markets, and thedeterminants of asset pricing and interest rates. Incorporating timely research and in-depth analysis, theHandbook of Finance is a comprehensive 3-Volume Set thatcovers both established and cutting-edge theories and developmentsin finance and investing. 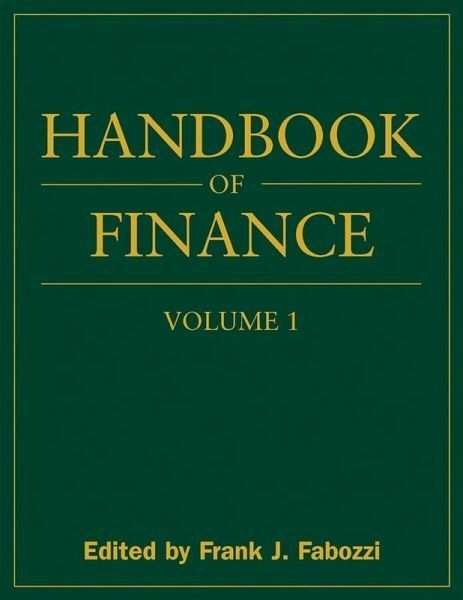 Other volumes in the set: Handbook ofFinance Volume II: Investment Management and FinancialManagement and Handbook of Finance Volume III: Valuation,Financial Modeling, and Quantitative Tools. Frank J. Fabozzi, PhD, CFP, CPA, is Editor of the Journal of Portfolio Management and an Adjunct Professor of Finance at Yale University's School of Management. Dr. Fabozzi is on the board of directors of the Guardian Life family of funds and the BlackRock complex of funds. He earned a doctorate in economics from the City University of New York in 1972 and, in 1994, received an honorary doctorate of humane letters from Nova Southeastern University. Dr. Fabozzi is a Fellow of the International Center for Finance at Yale University.